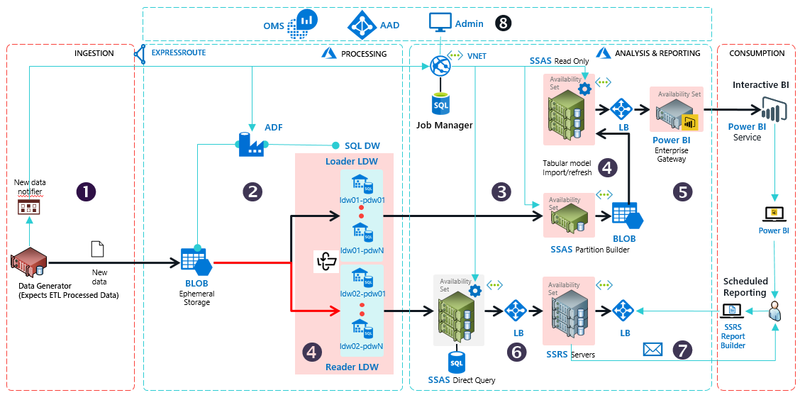 Azure offers a rich data and analytics platform for customers and ISVs seeking to build scalable BI and reporting solutions. However, customers face pragmatic challenges in building the right infrastructure for enterprise-grade production systems. They have to evaluate the various products for security, scale, performance and geo-availability requirements. They have to understand service features and their interoperability, and they must plan to address any perceived gaps using custom software. This takes time, effort, and many times, the end-to-end system architecture they design is sub-optimal.